The day is full of fashionable possibilities with the Bottega Veneta™ Intrecciato Belt Bag. Adjustable belt strap at the waist with hardware buckle closure. Exquisite intrecciato pattern featured in front. Spacious lined interior features back-wall slide pocket. 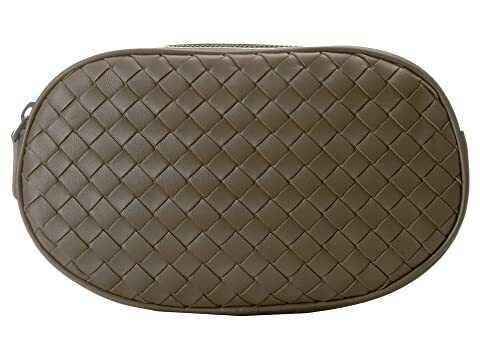 We can't currently find any similar items for the Intrecciato Belt Bag by Bottega Veneta. Sorry!